we are here to listen to your requirements and provide best of breed solution for your particular web and mobile application. As core professionals of Silicate Technologies Pvt. Ltd. has in-depth knowledge of operations and functions of CPWD, PWD, DDA and PSSC India (Power Sector) for a good number of years, with minimal involvement in requirement gathering and by using least time of departments subject matter experts, we delivered various application. 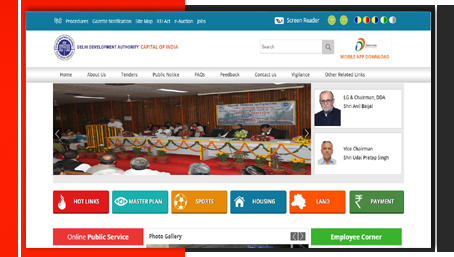 CPWD has pan India presence and has ability to undertake construction of complex projects. It has now grown into a comprehensive construction management department, which provides services from project concept to completion, consultancy and maintenance management. 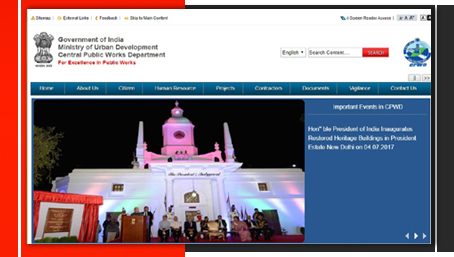 Public Works Department is the premier agency of Govt. 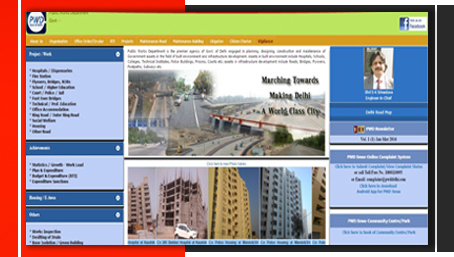 of Delhi engaged in planning, designing, construction and maintenance of Government assets in the field of built environment and infrastructure development. PSSC India objective of facilitating the skill development activities including capacity building for training delivery to meet the needs of Power Industry, that consist of Conventional Power Sector (Generation, Transmission and Distribution), Renewable Energy and Power Equipment Manufacturing Sector.